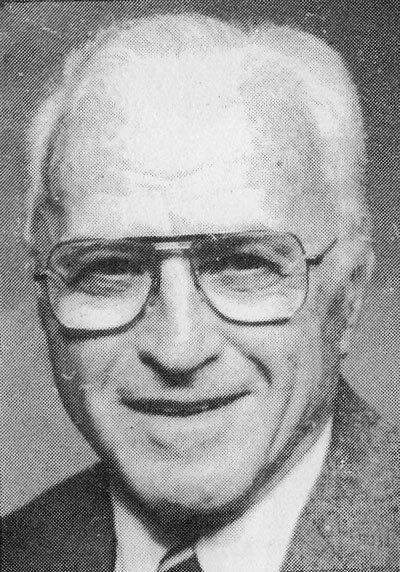 On September 1, 1978, the main softball diamond at Orr Park was renamed “Mizer Field” in honor of Frank G. Mizer. This was only fitting and proper since Mizer had spent many years on the field molding he young men of Orrville into baseball players known as Mizer Tykes. In 1948 Mizer took it upon himself to start little league baseball in Orrville, since o organized program existed prior to this time. Boys in the 8 to 12 year age group were formed into two teams which played each other the first two years. In their third year they joined the Little League in Wooster and won 17 of the 20 games they played. In those early years it was necessary for Mizer to do most everything connected with the team, including finding the money for uniforms, equipment, umpires, and other necessities of the program. He encouraged businesses and industries in town to invest in the future of the young people he coached. Although Mizer had no formal training as a baseball player or coach, he was very successful in teaching young people the fundamentals of the sport. Former players, including his son, Ron, have nothing but high praise for the experiences they shared with him during their years under his direction. The Orrville Youth Baseball program is second to none today due in large part to the leadership and example shown by Mizer from the time he started the program until he turned it over others in the 1950’s. Mizer made his living as a beauty solon operator with his wife Erma. He came to Orrville in 1936 and opened the shop which Mrs. Mizer still works nearly 50 years later. He had worked previously in Polsky’s and O’Neil’s beauty shops for several years and before that had worked at Otis Steel mills in Canton. Frank Mizer passed away in 1984 after a very full and rewarding life. If success can be measured in won-loss records, then Mizer was very successful because teams he coached all played at above.750. If accomplishments are a measure of success, he is successful again, as his team won the 1953 Ohio Hot Stove championship. Mizer would probably measure his success in the satisfaction of seeing young people perform to the best of their abilities in whatever their chosen profession. All of the former Tykes have been successful because of the influence of Frank G. Mizer.